If the U.K. and the U.S. have long enjoyed a "special relationship," this gave it a whole new meaning. "It's all my family can talk about," said 15-year-old Daniella Bueno, who got up at 3 a.m. to watch the wedding from Los Angeles' Immaculate Heart High School, Markle's alma mater. Bueno is a sophomore at the school, where some of the dozens of students, parents and staffers who gathered to see the ceremony sometimes wiped away tears. "She's representing our school in such a beautiful way," said Bueno. Across the country at a house in Burlington, New Jersey, a Philadelphia suburb, partygoers erupted in applause upon sight of Queen Elizabeth and Prince Phillip, but also for Doria Ragland, Markle's mother. Guest Paula Jackson gasped when Markle emerged from the Rolls Royce that brought her to St. George's Chapel in Windsor, the British royals' longtime home. "I'm just so happy for her," said Jackson, dressed in a jeweled blazer and tiara. "She will be an example for our young, African-American women." 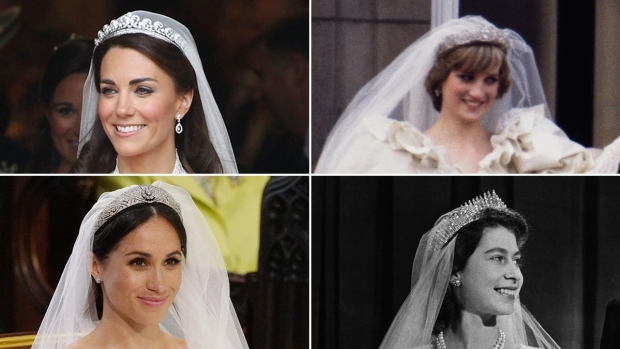 At gatherings around the U.S., viewers admitted Markle's beauty and naturalness. 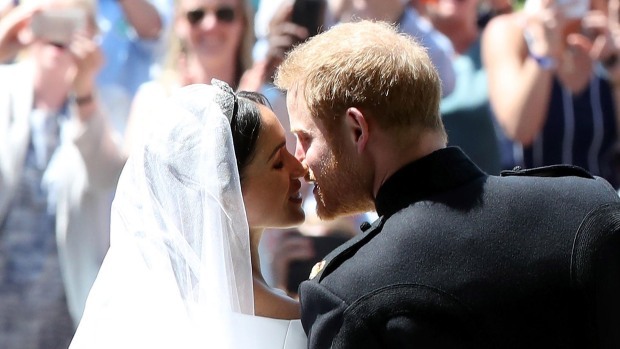 But they also marveled at the boundary-breaking, even-more-than-fairytale union between the prince who lost his mother, Princess Diana, when he was 12 and the American actress who has spoken out about coming to terms with her biracial identity as the daughter of a black mother and white father. 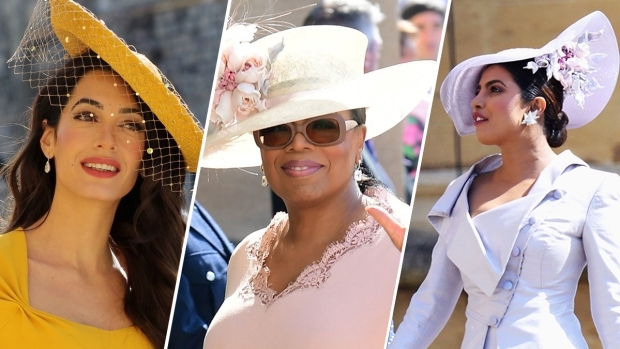 Varinda Missett and Ellen Polkes donned hats, gloves and bejeweled high heels and went to the Plaza early in the morning because they "wanted to see a California girl become a princess," Missett said. A crowd in fascinators and tiaras gathered for the storied hotel's first royal wedding viewing party, which came complete with deviled eggs, black pudding, Earl Grey tea butter biscuits and cake pops with champagne and flower liqueur. "We love a great love story," said Maureen Farley, the hotel's director of hospitality. "This surely is one of the best." If there was a certain historical irony in Americans celebrating British royalty nearly 242 years after the Declaration of Independence, it had little sway Saturday over Americans who said they were simply rallying around love. Talia Handler, a guest at the Plaza party, said she hoped Markle's new role in the U.K. could improve connections and understanding between the two nations. Craig Young, a British actor who watched the festivities at the Cat & Fiddle Pub's pajama-and-viewing party in Hollywood, California, said it was especially sweet for expats like him. "There's a Los Angelean marrying into the royal family, which we never thought would happen, and which we're very excited about," said Young, who moved to Los Angeles in 2001. He was giving a wedding-themed pub quiz as he wore a bathrobe and Prince Harry mask. For Meghan Woods, who was at the Plaza's fete, the takeaway was simple. "There are so many terrible things going on in the world," she said, "that when there's something like this— love bringing people together, a reason to celebrate — why not?"